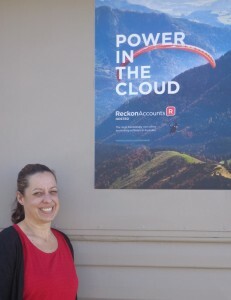 After a recent roadshow, Reckon are coming to Coffs Harbour and are running a free educational briefing on their cloud accounting products on Wednesday 17 June – see details below. If you would like to attend please use the link below to register. We’d like to personally invite you to attend a complimentary educational briefing as we discuss opportunities to improve the way you run your business using online accounting software. This educational session will offer insight for small businesses, accounting firms and bookkeepers! It may also assist in acquiring CPD points through your relevant professional association. Register to secure your spot. This session is free to attend and includes light refreshments with morning tea. We hope to see you there! If you have any questions, please call 02 9965 1334. TSC Services is currently offering new subscribers to Reckon Accounts Hosted with an additional 3 months free subscription (i.e. 15 months for the price of 12). This is a great opportunity for you to migrate from your desktop version of Reckon Accounts to the cloud. You can continue using your current Reckon Accounts with the convenience of accessing business data anywhere anytime using your tablet or laptop by upgrading to Accounts Hosted. Get real-time Business information and share the data with your Bookkeeper/Accountant and also receive Product and compliance updates streamlined so you’ll never need to install software to the desktop again helping save time and improve efficiency. Included in the deal, is a migration of all existing Reckon Accounts data files to the Accounts Hosted service at no extra cost. You may also attend a complimentary training webinar to get familiar with the new features and functionalities of Accounts Hosted. Time is limited for this offer, so don’t delay in contacting us. 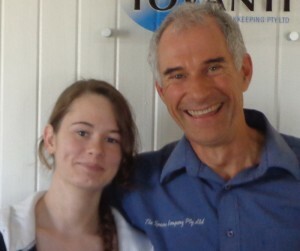 We were delighted to offer work experience recently to Amber, a student at Coffs Harbour Jetty High School. Amber assisted in designing brochures for NSW Coastal Cycle Trail, a project that advertises a 1,680 km bicycle trail running from Coolangatta (North Coast) to Eden (South Coast).